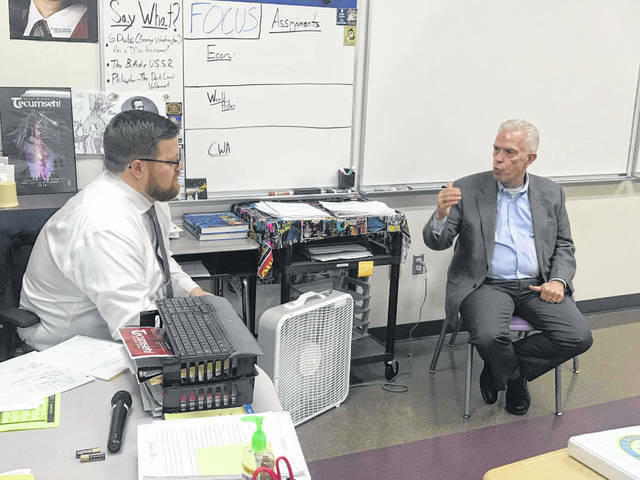 Congressman Bill Johnson speaks with teacher David Maxson during a visit to Southern High School on Friday. 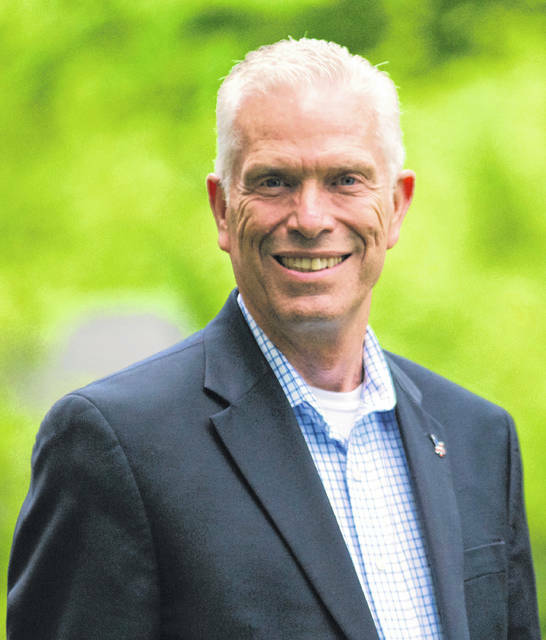 Congressman Bill Johnson spoke with students at Southern High School on Friday morning. RACINE — U.S. 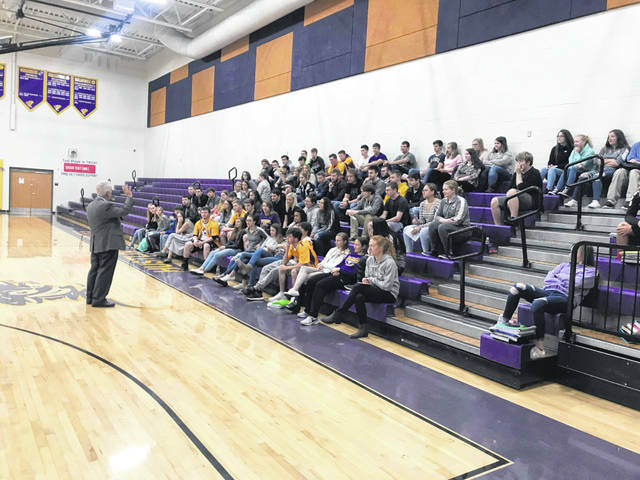 Congressman Bill Johnson (R-Marietta) spoke with students at Southern High School Friday morning about leadership and his stance on various issues. During his speech at the high school, Johnson stressed the importance of leadership and the future. Johnson said every child has the opportunity to be whatever they want to be and to make a contribution to the world around them. Johnson received many questions about education funding. Johnson believes the government is spending money in education on many of the wrong things. He believes teachers should receive a living wage, he told the students. Johnson also believes students are not being taught how to learn and study, which is an issue he said he sees with his own 15-year-old son. Other questions the congressman received were about local farmers and prayer in school. Johnson said protecting small farms is an important issue for him. He also said he is a “big fan” of putting prayer back in schools. One student asked Johnson what he felt was the biggest issue in the nation. Johnson said he believes people have stopped thinking for themselves — that society is told what is important and how to think. The Congressman was invited to Southern High School by social studies teacher David Maxson.